Matunga’s a haven for all sorts of food and fresh local produce. Apart from picking up our monthly dose of coffee powder and sampling a new restaurant to eat every time we’re there, we also like to hunt around for some great produce and stores that have all things exotic. 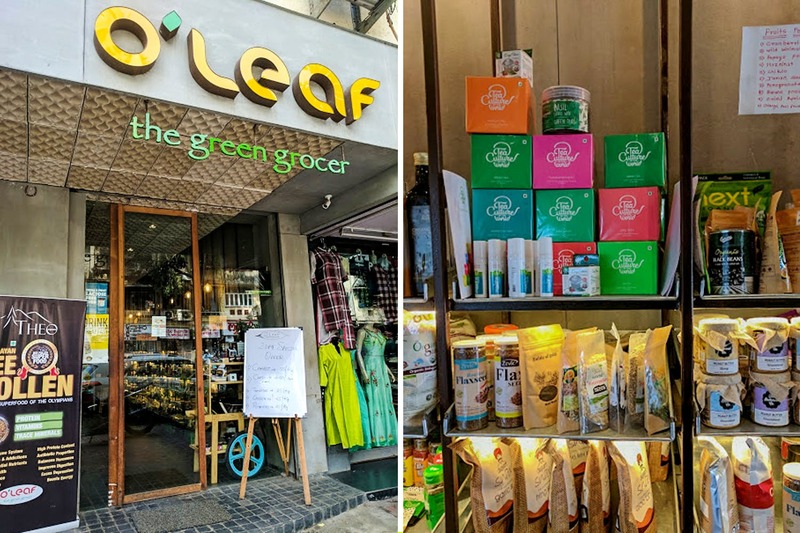 O’Leaf in Matunga is one such place, that caters to all sorts of people, for its exotic produce, packaged food items and all things fine. The store is close to Matunga railway station and is pleasing to look at. We found fresh fruits and veggies stacked in one corner of the store, with cookbooks on a shelf right next to them. You’ll find rows upon rows of products like jams, preserves, coffee, spreads, pasta packs, syrups and cereals on one corner. Sauces and dressings make for a pretty set up in wicker baskets on the other side. There’s a separate section for bread and bakery items; teas from across the globe, dry fruits and seeds; and even a dairy section. You’ll also find all kinds of snacks to munch on, a chocolate section that even has spray mints, and the prices range from INR 100 – INR 4,000. If you find supermarkets intimidating and confusing to be around with the number of choices at your disposal, O’Leaf is the perfect size with the right amount of things to make life easier and a lot more fun.